Hey! After yesterday's big news, I am back with the recipe I was planning on posting. Actually, it's two recipes! Yesterday I could not concentrate all day - my brain was a buzz with excitement and I could not concentrate on anything. I couldn't even read the email from the caseworker because all I could see was accepted and my mind wouldn't focus on anything else. I guess that's what waiting so long for an answer does to you - I didn't know whether I was going to cry, scream, laugh or squeal jump up and down like a 3 year old who just one the biggest teddy bear at the fair (over the course of the day, I did all of those things :P). The recipe is so simple and really healthy - and it can be easily adapted to change the flavour or to suit your needs. So let's get onto the recipe! Mix all of the ingredients together and place half of the mixture into each tin. Flatten the potato mixture into the tin, ensuring it's spread across the whole pan. Place tins into the oven and bake until golden and crispy (about 1/2 an hour or so). 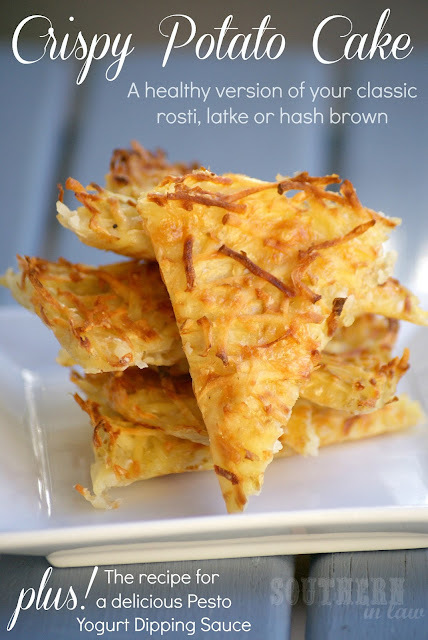 Remove the potato cakes from the oven and allow to cool slightly before slicing into wedges. 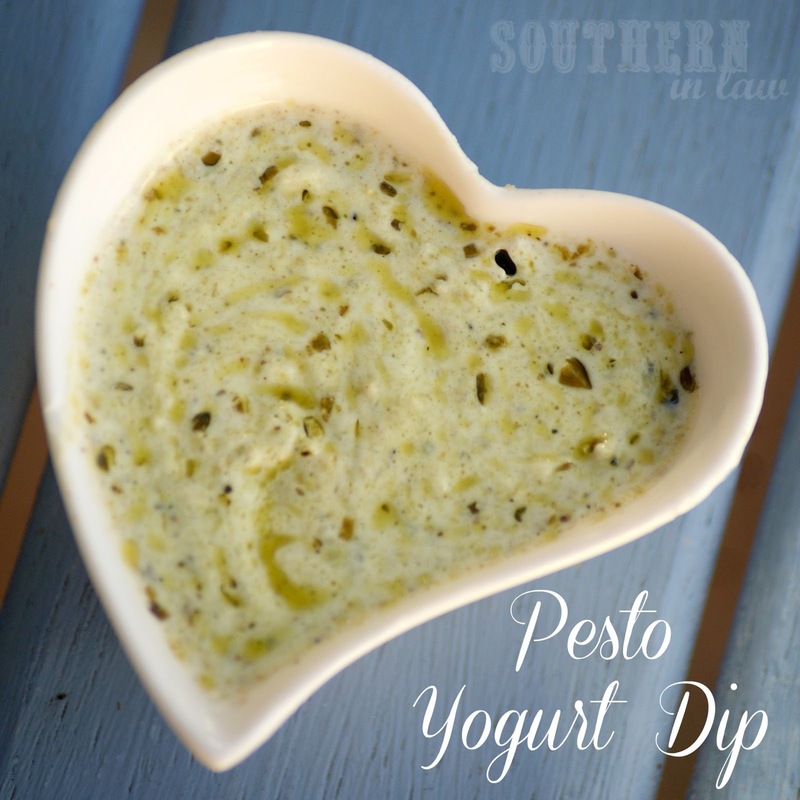 Serve warm with the Pesto Yogurt Dipping Sauce. *You can use any potato you like. I used washed white potatoes with the skin on, however, I have also done this with peeled potatoes and sweet potato. This dip is so easy that it shouldn't be called a recipe, it's easily multiplied to suit as many people as you're serving. 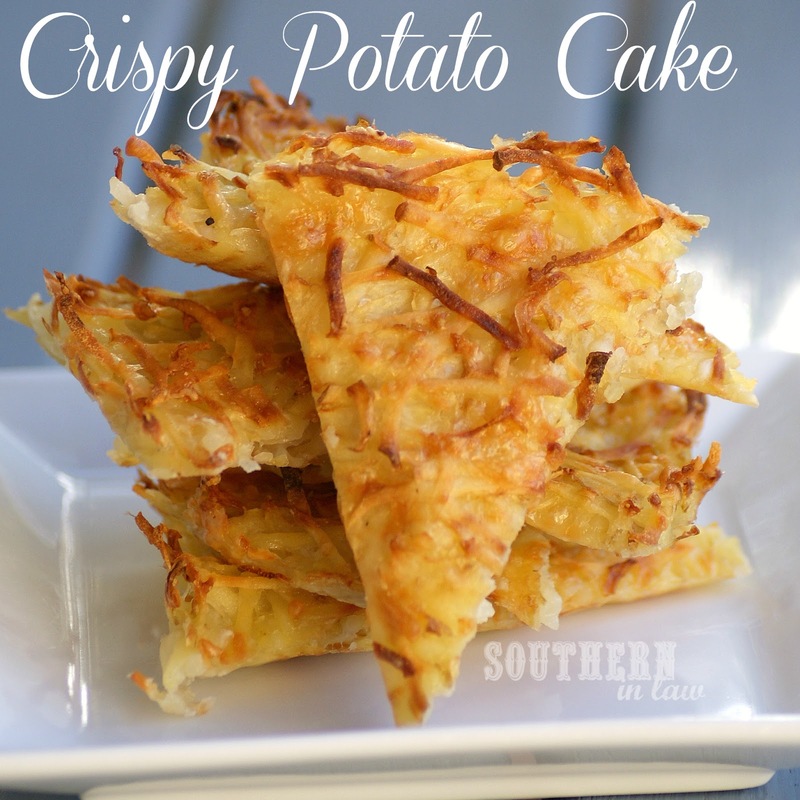 Serve it with the potato cakes, vegetable sticks, crackers or whatever you feel like. So tell me - anything exciting happening in your world? !